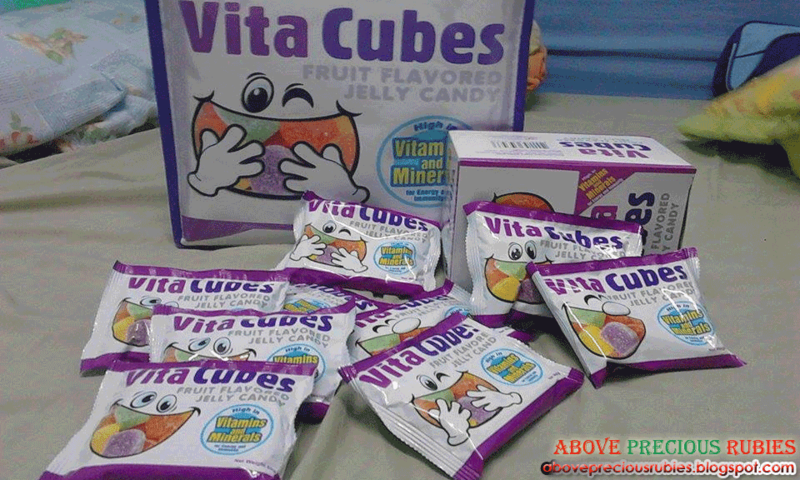 Vita Cubes is a yummy fruit-flavored jelly candy, high in vitamins and minerals. 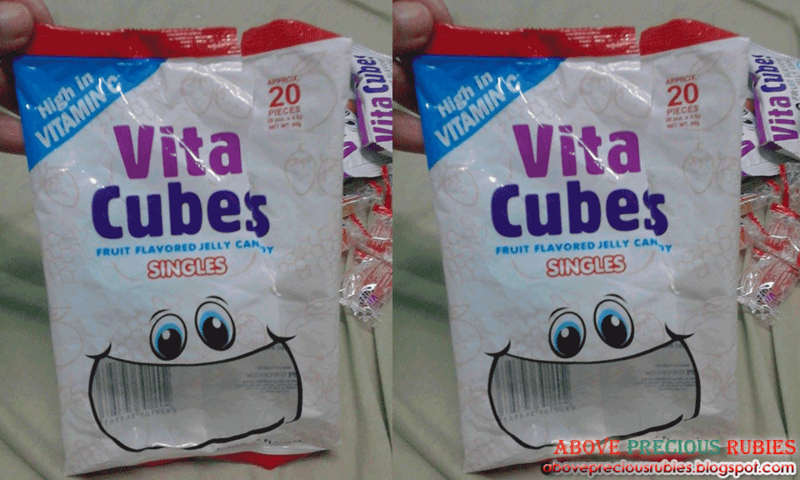 It’s a candy with lesser guilt and more vitamins for our little ones. 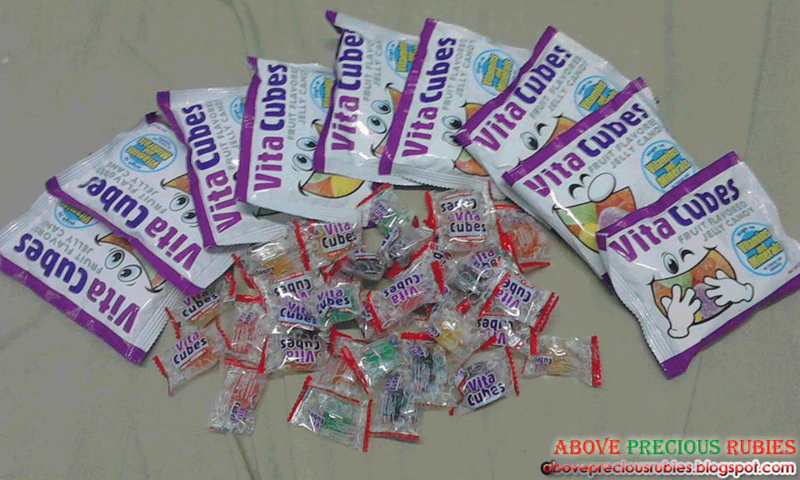 Although, we were advised to have our kids still take these candies with moderation. Nate had a few taste of it when we arrived home and I think he liked it! I tasted it myself and it tastes good, it’s soft and chewy but not the very sticky chewy type. 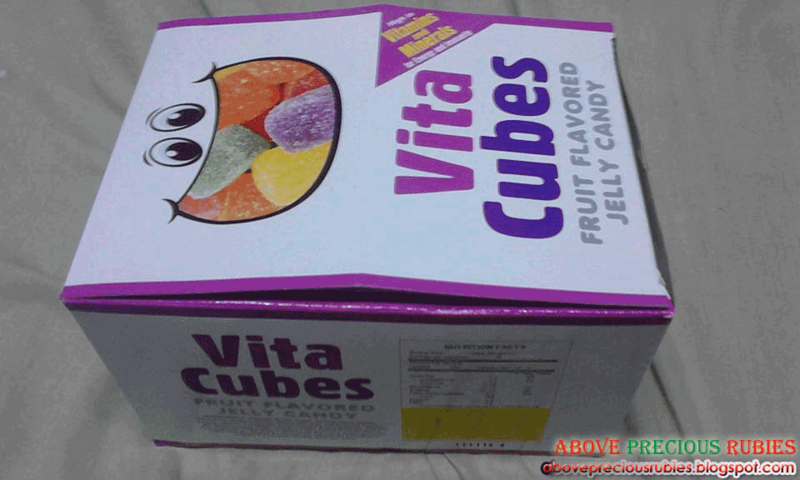 Vita Cubes comes in 2 pack sizes, one with 5 different flavors (Strawberry, Apple, Grape, Orange & Mango) per pack and one individually wrapped jelly candy. Vitamin B Complex (B1, B2, B3, B9) that help the body convert food (carbohydrates) into fuel (glucose), which the body uses to produce energy. These B vitamins, often referred to as B complex vitamins, also help the body metabolize fats and protein. (Source: University of Maryland Medical Center). Vitamin C which is of course important for immunity. and Zinc which is needed for the body’s defensive (immune) system to properly work. 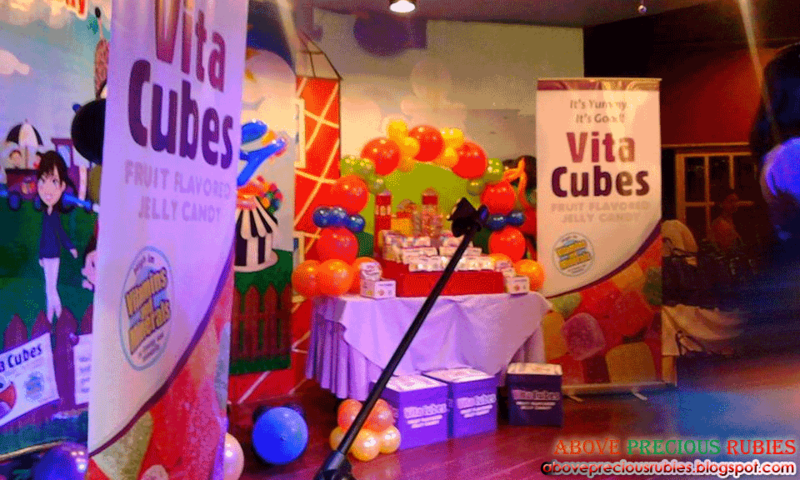 Vitacubes is now made available in all leading supermarkets and drugstores nationwide and (and selected sari-sari stores). 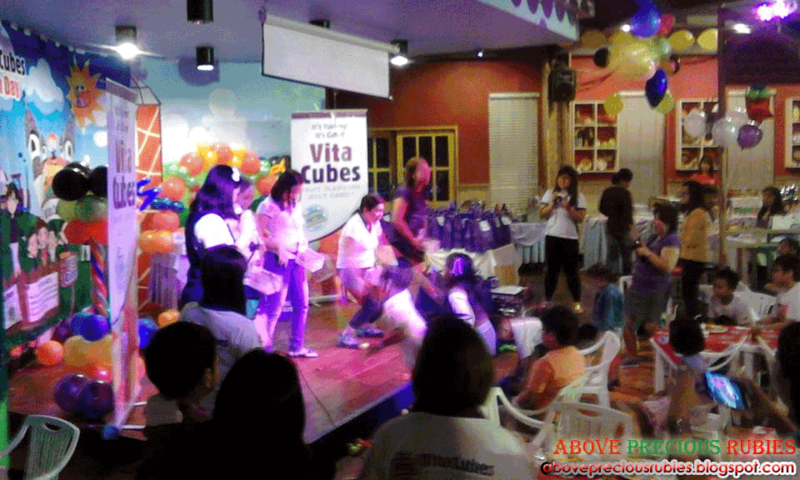 Last Sunday, Aug. 2, 2015, the Mommy Bloggers Philippines had an amazing time at Fun Ranch – Ortigas for the press release of Rebisco’s Vita Cubes. 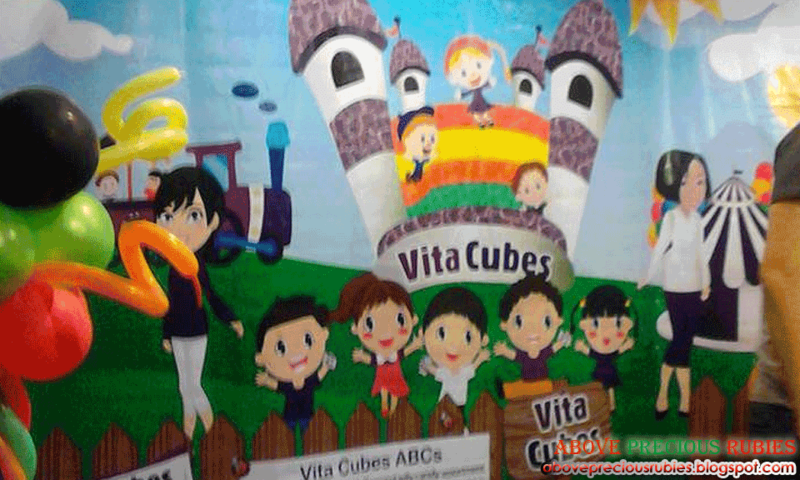 First I’d like to give credits to the facilitator of the Vita Cubes Fun Day event, it was fun and exciting, I’m sure most of has had a blast. I came in an hour late but still enjoyed the program. After our worship service, Nate and I went straight to Fun Ranch to be able to attend. 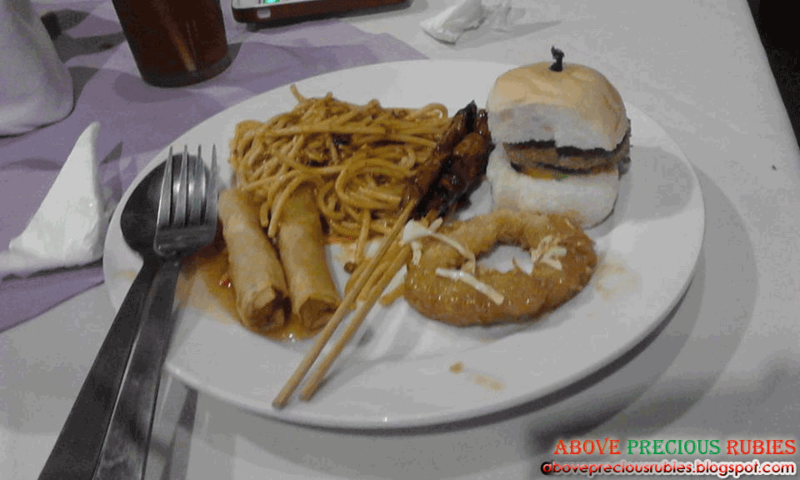 I was all smiles when I arrived, I see so many members of the Mommy Bloggers Philippines (MBP) in there. Although I don’t know most of them, I know at one point, we’ve already had an encounter online through the Comment Exchange. I see so many familiar faces, I was like: “I think this is the mom from the blog (title)… I guess that’s how bloggers get to know each other. lol. 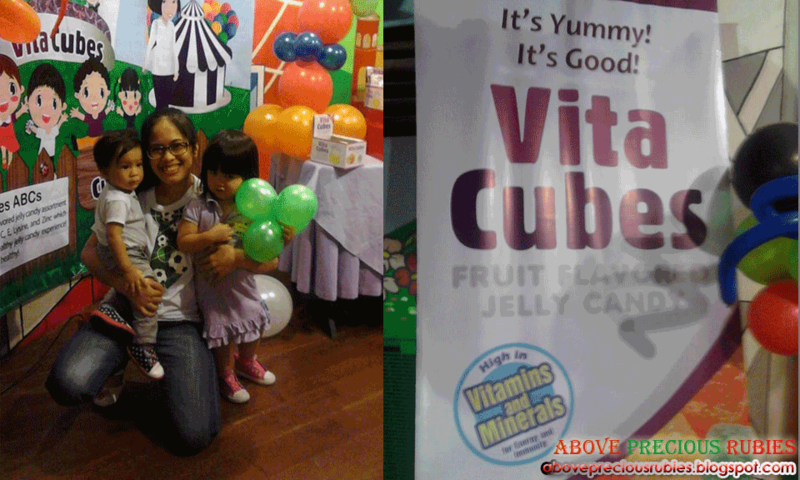 But thankfully, I met another mommy blogger, Jeniffer of Vyjaera and had a fun chat with her during the entire program with her daughter Cassey who just turned 2 and also met the first 2 mommy bloggers I knew back in January, Anna of MyWorldMommyAnna and Ma. Christeena of A WAHMwrites. 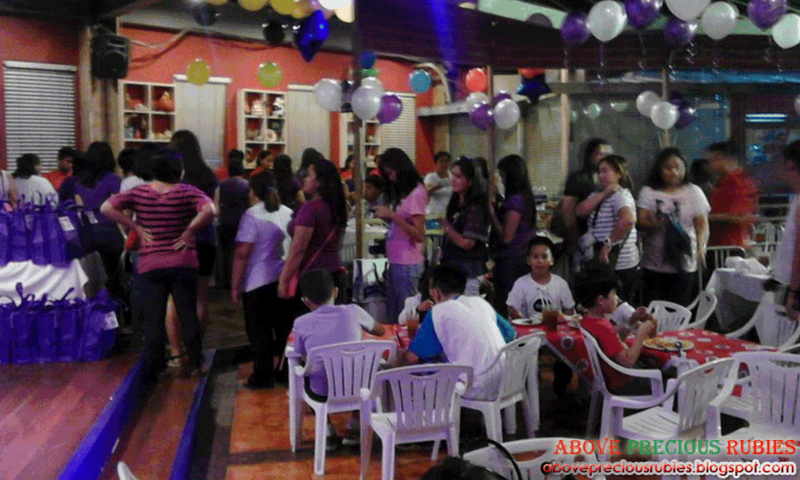 Going back to the program, the kids and the moms enjoyed all the games and raffles (congratulations to the winner). No, I didn’t win any of the raffles, I have no luck when it comes to raffles. haha. 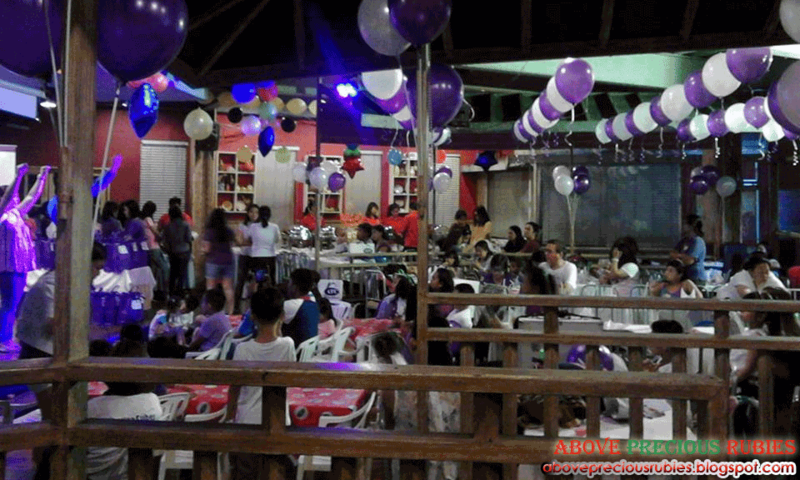 I didn’t have the chance to physically join the games because first, Nate was sleeping and second, Nate was still very young to participate but I was very happy watching the games and the magic shows. 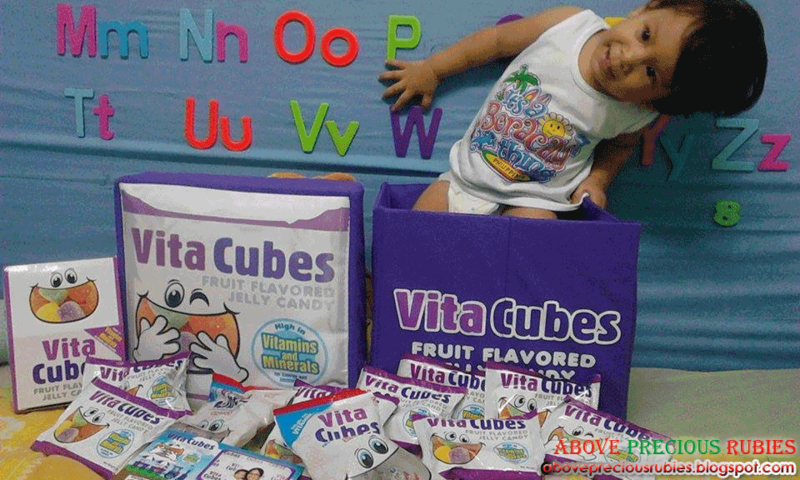 We were informed about Vita Cubes and what vitamins and minerals our kids can get out of it. There were some series of Q&A about the product, and where we can purchase it. 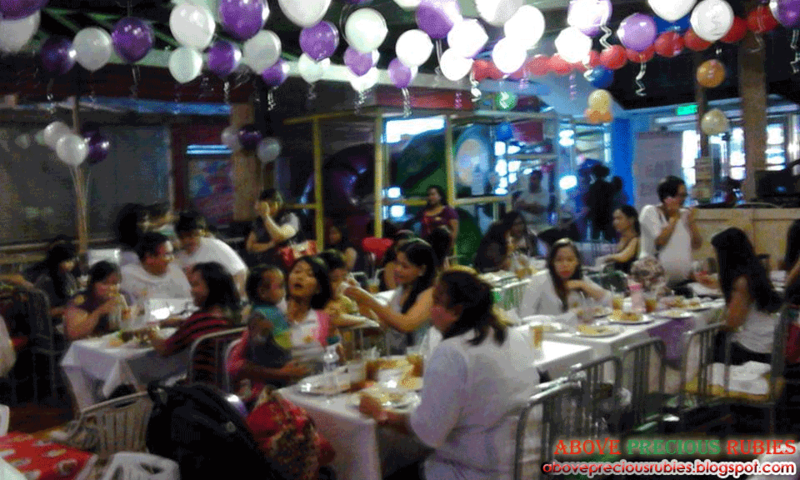 Thanks to Mommy Bloggers PH for inviting us to this wonderful event. 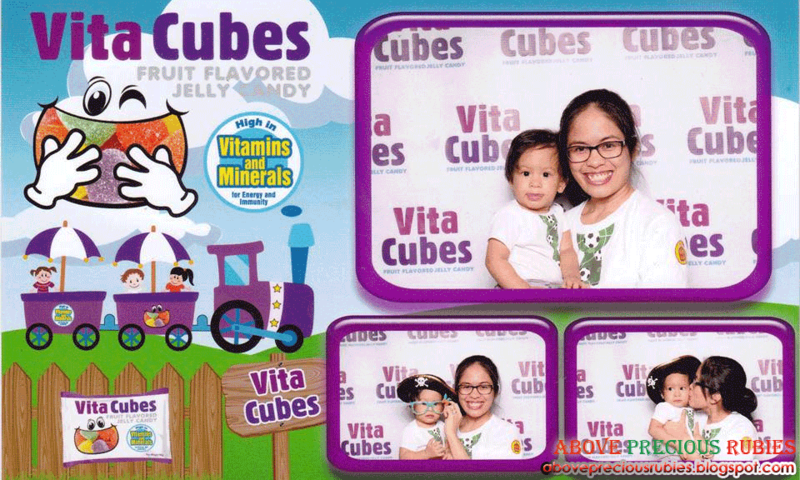 I’m sure happy Nate and I were able to attend and thanks to Rebisco also for hosting this mom-child activities and for introducing Vita Cubes to us. Also, thanks to the freebies we’re able to take home, Dane loved the candy much more than we do! lol. 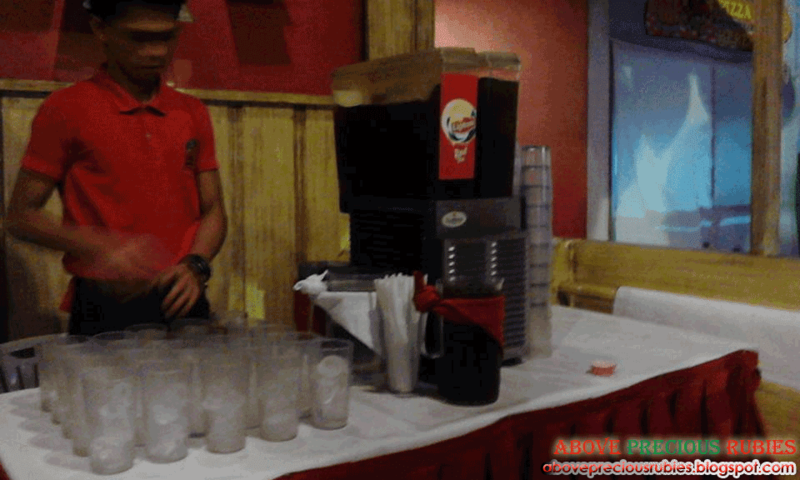 Such a nice event for yiou guys to attend to. This is a sweet treat that every Mom should get. 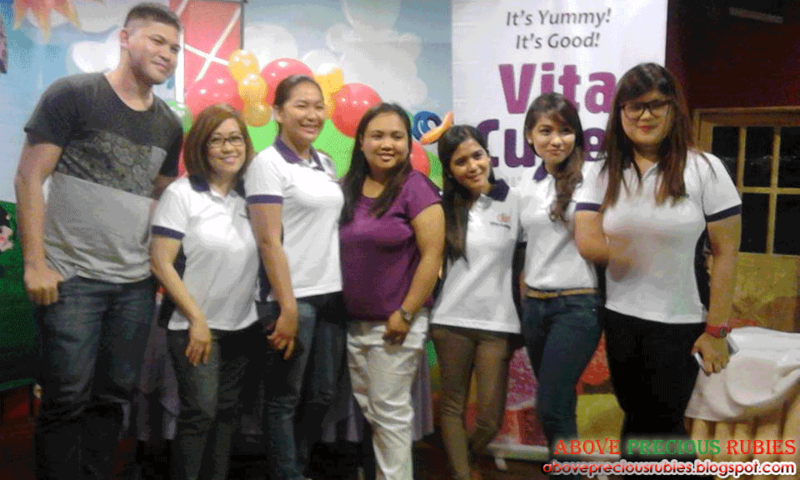 This is a dream come true for mommies with kids who hates taking their vitamins. Problem is it would difficult to stop my son from taking everything in one sitting. Yahoooo! 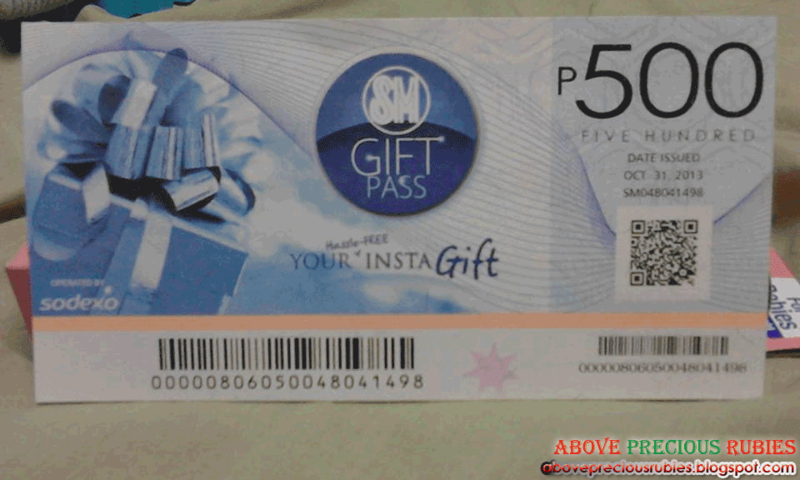 mommy Lyn thank you for the special mention.. and for the photos! I'm so glad to have met u and your son nate.. indeed it was a fun day for all. I hope we get to bond more and have a lot of such activities in the future..